Attorney Antoinette Middleton, of the Law Offices of Antoinette Middleton, will be presenting 7 Threats to Your Family’s Security at City Heights Law Day 2017, discussing wills, trusts and Medi-Cal. In other words, seniors and others over 55 who are on Medi-Cal do not need to worry about losing their home upon their death. 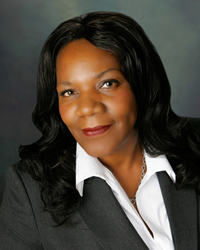 Attorney Antoinette Middleton, founder of the Law Offices of Antoinette Middleton, is scheduled to speak at the 2nd Annual City Heights Law Day on Saturday, April 29, at the City Heights/Weingart Library, 3795 Fairmount Avenue, San Diego, CA. The title of Middleton’s presentation is “Wills, Trusts & Medi-Cal (7 Threats to Your Family’s Security).” The goal of Middleton’s speech is to educate the community and to illustrate how the need for and the cost of long-term care is a major threat to a family’s security. Before January 2017, California law allowed claims on the estates of those who received any Medi-Cal benefits when they were 55 years of age or older, regardless of the medical services received or whether recipients were in a nursing home. “Thanks to new laws effective January 1, 2017, Medi-Cal recovery has been severely restricted for those who die on or after January 1, 2017,” added Middleton. This year’s Law Day theme is “The Fourteenth Amendment: Transforming American Democracy.” The Fourteenth Amendment, ratified nearly 150 years ago, guarantees the rights of due process and equality under the law. A Town Hall discussion will be held to explore how the Fourteenth Amendment has transformed American law and society, and furthered the cause of ensuring liberty and justice for all. The event starts at 9:30 am and as part of the kickoff of City Heights Law Day at 10:00 a.m., there will be a presentation of awards to local youth who are participating in a writing and art competition to celebrate and honor the Fourteenth Amendment. Afterward, there will be presentations on various areas of law by local attorneys (to include Attorney Middleton) and an opportunity for members of the public to have a free consultation with an attorney to discuss their legal issue. The Law Offices of Antoinette Middleton focuses on estate planning, to include wills, revocable living trust, advance health care directive, power of attorney, special needs trust, trust administration and long-term care; and asset protection, including irrevocable trusts, business planning and succession, Medi-Cal and veteran’s benefits. The firm also handles probate cases, and guardianships and conservatorship petitions. For more information, please call (619) 235-9501, or visit http://www.lawofficesofam.com. The law office is in Mission Valley, at 1761 Hotel Circle, Suite 115, San Diego, CA 92108.